The past few weeks I have been researching ways to get my all important page views up. Page views from google analytics are important number to companies that you are trying to connect with to do sponsored posts for. 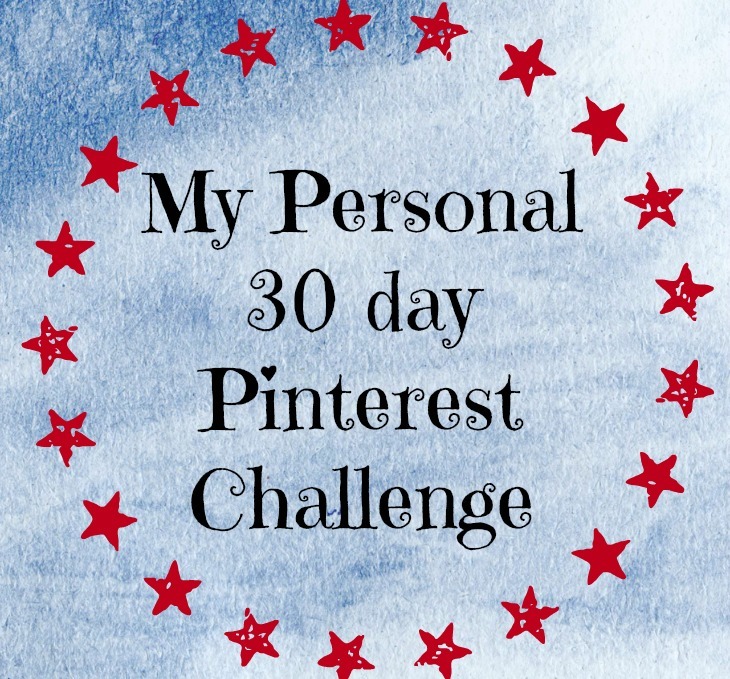 Pinterest is a great way to help get your page views up. I have researched several articles and found some great tips on gaining Pinterest followers and thereby increasing page views. VMG206 Has a great post on her 30 day challenge. I have the personal goal to pin 20 things that I love everyday. Also, don’t pin all at the same time of day, spread it out to get better exposure. Make sure you pin an assortment of pins, not just 20 pins for Halloween. You want to give your followers a variety. Follow people who have the same tastes and interests as you. 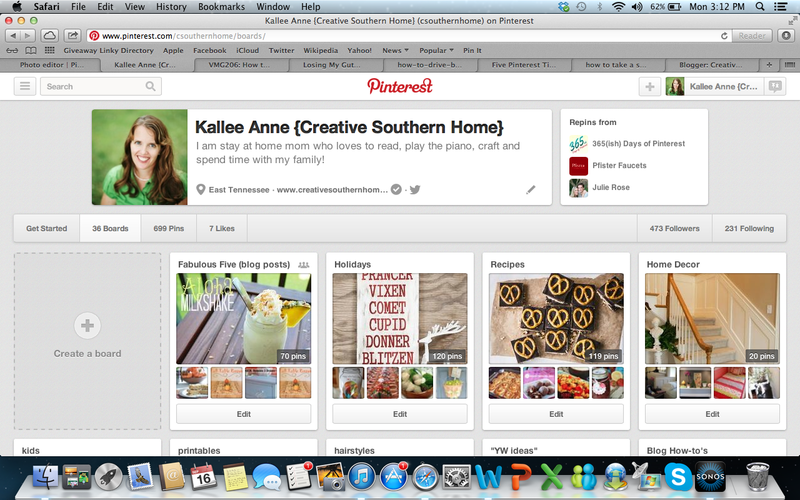 To have Pinterest “count” someone as a follower, they must follow ALL of your boards. If someone starts following you, follow them back. This increases your circle and helps you grow. My goal: follow 10 new people a day that pin things I am interested in. Comment on pins you find especially cute, fun, or inspiring. People always love to have their creations noticed and this is a great way to connect with people. Be sincere and personal though. Just don’t hop through throwing around insincere or “blanket” comments. Make it meaningful. This is one I sorely need to do. For example, when I first started pinning I pinned everything Halloween, Thanksgiving, Easter, Christmas, 4th of July etc to a “Holiday” board. Now I am finding that I don’t want to look through all holidays to find inspiration for Halloween. You want you boards to look pretty and full of good content to entice all those new followers. My goal: Get my boards organized and have eye-catching photos on the board cover. By using these 4 tips I am going to track the number of new followers I gain in 30 days. Don’t forget to check in a see how I do. And please follow my boards on Pinterest! Hi, I do hope you can answer a question for me. I wonder, when you say to pin a lot (20 in this case) each day, do you mean pin from all over the internet or from your own blog? This is a great idea. I just started to organize my pin boards last week and did a post about it but I think I will follow in your footsteps and try doing the first three suggestions as well. Thank you for the informative post! Found you through Serenity Now “Weekend Bloggy Reading” link party.